Roofs are an essential part of commercial and residential buildings. Not only does a roof safeguard against natural elements, it enhances energy efficiency and prevents internal damages. Problems in the roofing are a sign that you need to call a roofing professional. Neglecting roofing problems can take a heavy toll later. Ideally, a roof insulates a building against harsh weather and precipitation. But if your roofing has moisture problems, it acts similar to a conductor that needs additional heating, cooling, or ventilation. Few telltale signs of accumulated moisture in the roof are the presence of mold and mildew on walls and sidings, peeling plaster, holes or gaps in roofing boards, and spongy or bouncy feel when you walk on the roof. Moisture problems if ignored can make your roof weak and spell disaster for your property. Water infiltration, hefty electricity and plumbing overheads, and parasitic infestation are just some of its repercussions. A professional can detect issues before they become unmanageable and take remedial measures that would cost a lot less and can be a blessing for property owners. Take a walk on your roof. If you get a trampoline feel, it could mean trapped moisture under the chemically adhered ply roof. Bubbling can significantly reduce your roof’s lifespan. Moisture can also cause blisters on a roof. Moisture from rain or snow can also seep underneath the shingles and warp the roofing. In such a case, the damaged roofing plywood needs to be pulled out and replaced. 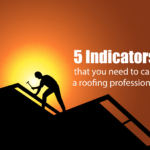 Moisture meters are useful in detecting pooled moisture in roofs. Often, due to improper fixing of the many membrane layers in a roof could be a cause of moisture finding its way. Air creeps into the gaps and causes blisters on the roof. Consult a trained roofing professional promptly to get a fair estimate of how much time and expense is involved in roof replacement. Flashing secures a roof to the building. It closes gaps and makes for a watertight seal between roofing materials, roof sections and parts of the building. Poorly installed or aged flashing is a sign that your roof needs immediate attention. Cement or tar flashing may need to be replaced by robust metal flashing or bituminous base flashing. Metal flashing is susceptible to temperature fluctuation and can expand or contract leading in cracks in the flashing. Bituminous base flashing is sturdy and weather-proof. Age of a roof is a deciding factor that will determine whether you need to replace or refurbish your roof. A typical roof lasts about 8 to 12 years if it’s structurally sound and properly installed by roofing professionals. A sagging roof is an indicator of structural weakness and should not be neglected. Sag could be caused by inadequate support or damaged beams or some other structural flaw. 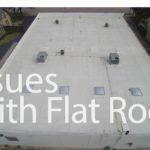 Take advice from a roofing expert as soon as you suspect roof sag. Design flaws are costly to rectify but are non-negotiable. Take a stroll in your attic. If you can see sunlight beaming in, this means there are holes or gaps in your roofing. Visible signs of degradation should be treated immediately. It’s best to get an expert opinion on your roof’s health. There really is no point in compromising the safety of you and your loved ones by living under a faulty roof. A professional’s trained eye, techniques and tools will spot flaws before they become impossible to reverse or take care of. Roof restoration and replacement should be done by certified professionals who adhere to industry standards and use experienced roofing crew. Absolute Construction is certified by major manufacturers (Certainteed) and we use products with limited lifetime warranty that allows maximum benefits to buyers. Most guarantees protect buyers from manufacturing defects such as delamination, granule loss, and cracking. Shingled roofs are also restored with best of Class 4 impact-resistant shingles at competitive cost. Synthetic tile, slate, stone, wood or aluminum- whatever be your roof type- Absolute roofing professionals will provide excellent restoration and upgradation services within your budget. Get a free estimate today. Apart from these common issues, roofing can deteriorate by wear and tear and lack of maintenance. Replacing or restoring the roof of commercial buildings can be expensive and time-consuming. So it’s imperative to be alert and identify telltale signs early on, get a roof inspection done today and rest easy. The sound of rain hitting the roof can be quite soothing. But what happens when the soft plops turn into loud thuds all of a sudden? Hailstorms are not a rarity and it can wreak havoc on your roof. Hail and housing roofs don’t go well together even if the hailstorm lasts just a few minutes. As hail, some the size of golf-balls comes crashing down on your roof, it could leave dents on the shingles. It slams against the roof, knocking down granules from the various part of your roof and compacts the layers of fiberglass and asphalt giving rise to small cracks. While visually, your roof might look just fine and it may not seem like a huge problem, you could end up with dozens of roof problems within a short span of time. All these roof damages will only worsen with time, wearing the roof down further and you will finally have to deal with a leaky roof which might cost you a fortune to repair. So your best option is to prevent a problem before it happens. Roofs are, after all, your first line of security against Mother Nature. If you’ve been hit with a severe hailstorm, depending on the intensity and size of the hail, your roof could be thoroughly damaged leaving your home vulnerable to leaks. If the problem is not addressed immediately, water could leak through the tiny cracks in your roof and end up causing water damage, mold and other structural issues. And if these go undetected for a long time it could also result in the roof collapsing. It is crucial to get your roof checked by a professional right after a hailstorm to evaluate if there was any damage. A majority of the homeowners fail to do so and resort to other quick-fixes like putting a patch on it or getting an inexperienced person try and fix it. 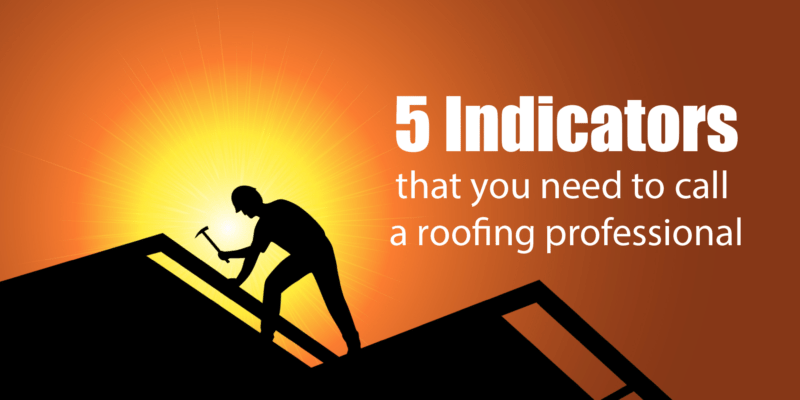 Even if you do a DIY fix it’s a good idea to get a roof inspection done by a professional as there are multiple things an untrained eye can miss. And you surely wouldn’t want it to end up jeopardizing your home. And things like a potentially saturated absorbent or damaged layer under a soft roof. Metals roofs are more likely to sustain dents and cracks may appear on skylights or sunroofs due to hail. You may not always be able to cover them up in order to protect it before the storm hits. In case of damaged sunroofs, the best option would be to replace it with an acrylic or polycarbonate material. These substances are much more resilient than glass and can thereby double the durability of the skylight or sunroof. Some homeowners decide to put off making the repairs in the belief that they will have plenty of time to fix it in future. This, however, might prove to be troublesome, especially when it comes to homeowner’s insurance. It is most likely that the insurance company has a statute of limitation for roof repairs. 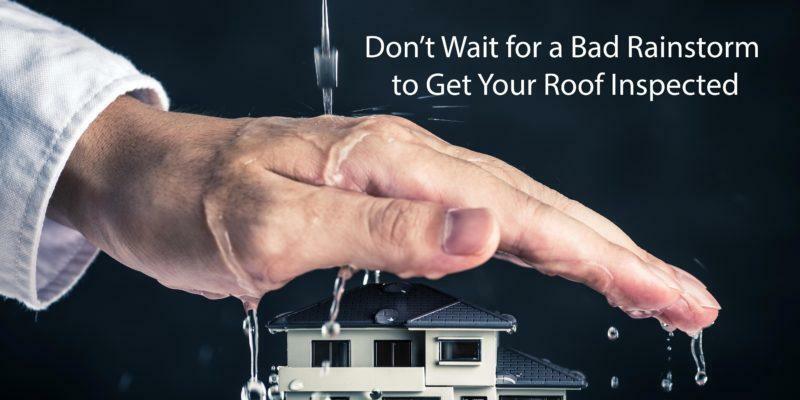 Delaying roof repairs might cost you your insurance claims and you might end up having to pay out of your pocket for damage that could have been covered by insurance. Once you get a professional to look over your roof and the damages it incurred due to hail, they will be able to recommend the right plan of action. Professional roofers can help you decide whether repairing a roof or replacing it is a better option. For instance, if a significant part of your roof is damaged, replacement might be the more effective solution. If you have an older roof, replacing it may cost you less in future. If the damage is not that severe, roof repairing such as replacing shingles, gutters, or other damaged roofing parts. A hail storm is always a cause for distress for a homeowner because it can inflict some severe damages. Even a seemingly minor damage can turn out to be expensive when it comes to roofing and cause harm to the complete structure in the long run. So the earlier you can detect issues on your roof, the better it is for your home and your wallet. Get it touch with a trusted roofing company to assess the damage as soon as you’ve been hit by a hailstorm. Contact us to schedule your FREE roof inspection today. In the last couple of years, various parts of Texas have been battered with strong winds and hail almost every year. The insurance firm StateFarm released a table that highlighted the highest claim amount paid out state-wise who had homeowners insurance. The highest was more than $610 million which was paid out to Texas for hail losses in 2017. Unfortunately, this year hasn’t been any better. The town of Allen reported 18 and McKinney reported 12 hailstorms between the months of January and April 2018. The average hail size that was reported was 1.3” and the biggest reported size was 3”. Allen hail damages ranged from minor cracks on the roof to gutters and siding damages. Most people assume that their homeowner’s insurance covers all damages, but this isn’t always the case. What Does Your Home Insurance Cover? Most home insurances cover roof damages caused due to vandalism, fire, an “act of God” which include tornadoes and hurricanes. Hail and wind damage are also generally covered, but the amount that is paid out depends on a number of factors. It is best to read your policy documents to know what exactly is covered and what isn’t. In case of doubts please talk to your home insurance company to clarify. What is the age of your roof at the time of damage? A useful rule of thumb is if you have a roof that’s less than 10 years old, in all likelihood the insurance company will reimburse the cost of repair or replacement for the damaged portion of the roof. On the other hand, if the roof is more than 10 years old they might calculate the depreciated value and payout repairing charges accordingly. If there is additional water damage due to flooding, moisture accumulation or dampness like mold growth and leaking, they aren’t generally covered by the homeowners insurance. Most insurance firms require you to take an additional policy to cover these damages. A large number of claims during hail season are due to damaged roofs. The cost of replacing a roof in Mckinney and other parts of the country has gone up by almost 50% over the last 7 years. That’s why insurance companies are tightening the norms of roof coverage. If your roof is more than 20 years old, insurers might refuse to renew your insurance without an inspection. A McKinney roof replacement is a must for those who fail the inspection, for renewing homeowner insurance. The life of a roof is between 8-12 years and it’s a good idea to invest in a new roof once your roof has aged. 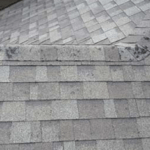 If your roof has suffered due to McKinney hail damage, contact your insurance provider as well as roofing contractors who provide roof replacement services in McKinney and the surrounding areas. Not all damages to the roof are so severe that they warrant replacement. Shingles, one of the most popular and commonly used materials on rooftops are frequently damaged due to hailstorms. Shingles are made from various materials like asphalt, wood shake, tile, slate or metal. Depending on the seriousness of the damage you might have to repair roof shingles in McKinney. 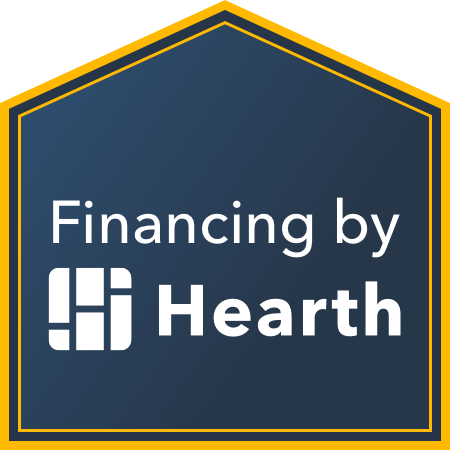 Asphalt shingles are the least expensive and slate ones are one of the most expensive shingles to replace. If you are looking for Mckinney shingle roof replacement, you’ll also have to have the old roof removed and that adds on to the total cost. Try and keep a set of pictures of your roof when it’s newly laid out or before the storm season. That way you will have before and after images to submit to your insurance company. Remove/cut branches that are too close to your roof. In case of strong winds during a storm, the branches could break and damage your roof. Repair or replace roof shingles in Allen if you are aware that they are worn out or broken. Insurance firms could cancel your policy if they find out that you intentionally have left your roof unrepaired. Hailstorm or not, if your roof is more than 8 years old, get a licensed roof inspector to look at it. If there are any damaged areas that need repair, hire a roofing contractor and make sure they have roofing insurance. McKinney & Allen Texas have been hit hard by hail, we will work with your insurance to save you $1000’s. We have been helping home and business owners with roof repair and maintenance services for over a decade. Call us today at (972) 596-0159 for a free consultation.